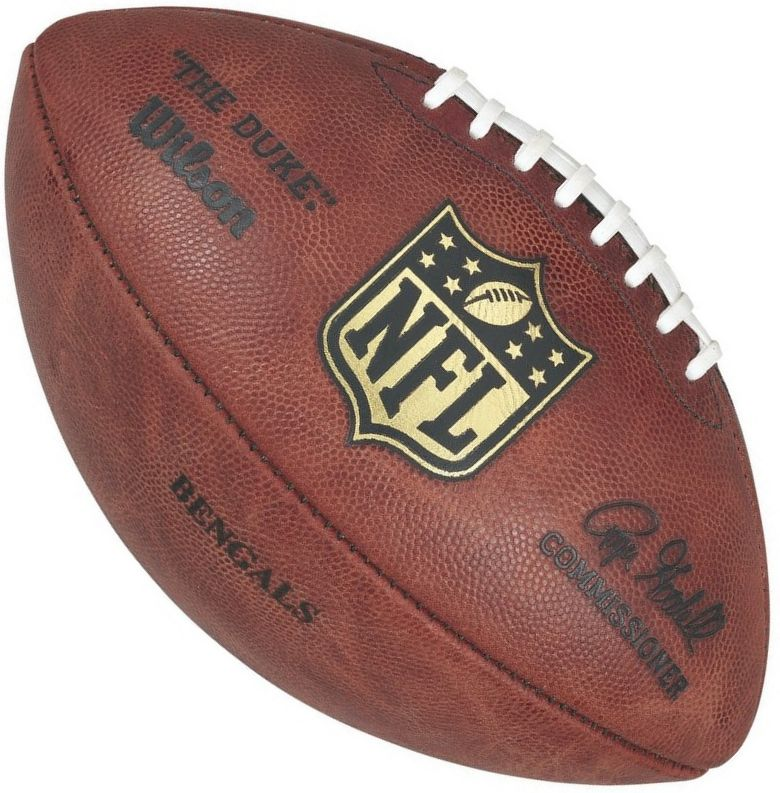 This Wilson® Official NFL leather game ball is the same ball used in NFL games. It offers you professional craftsmanship with a high-quality Wilson® leather construction for top performance at the highest level. Made in the USA. The top of the line leather game ball designed for the highest level of competitive play. Patented 3-ply VPU bladder made in the USA to provide the best durability and air retention. 3 layers of lining hand stitched to the football panels to allow the ball to maintain it's shape. Ball features NFL Commissioner Roger Goodell's signature.